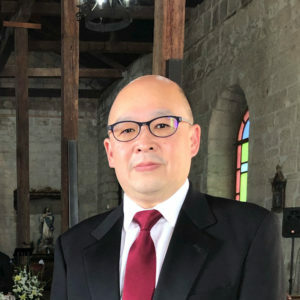 Henry Lee joins Sysdyne as our newest International Sales Manager. Henry has over 20 years of sales experience in the construction material industry. He is originally from Taiwan and earned his bachelor’s degree in Electrical and Electronics Engineering at Ohio State University. Coupled with his engineering and technical background, Henry speaks English, Spanish, and Mandarin. These diverse skills allow him to serve a wide array of international clients. We are excited to welcome Henry to our sales team! Are you looking for more information to improve your concrete production workflow? Contact Henry or another member of our sales team to boost your production workflow and efficiency with truly cutting-edge, cloud-based technology. You can also stay up-to-date on our company’s news and products by connecting with Sysdyne on LinkedIn.